Wood table and chairs, paint, photoluminescent pigment. Dimensions vary. 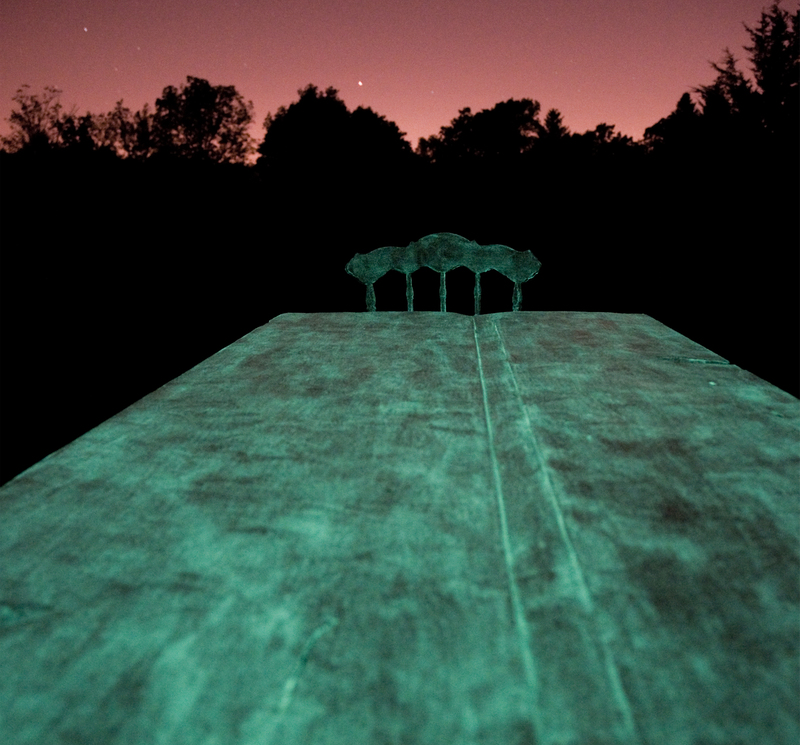 This project is part of an ongoing series of works that utilize photoluminescent pigment. 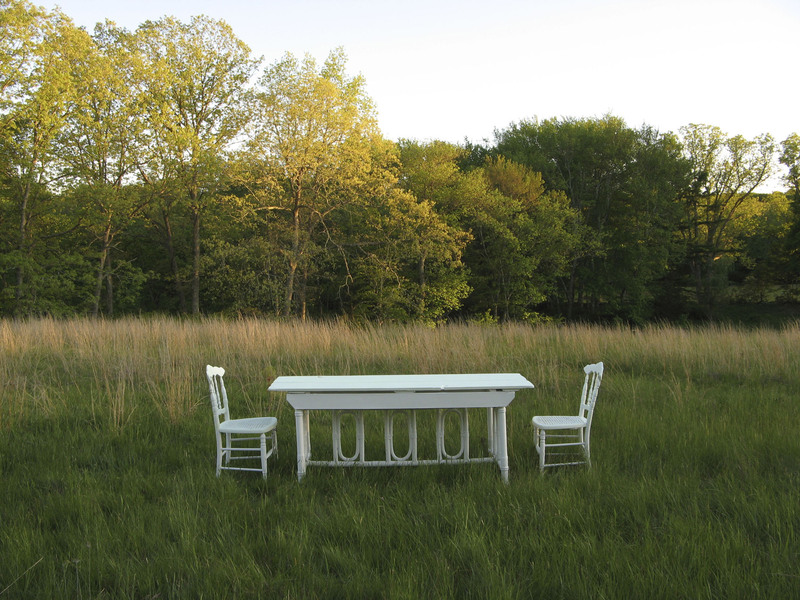 During the day, this piece is no more than an everyday object, a table and two chairs set in a remote meadow. A conspicuous image, a possible place to stop and rest. 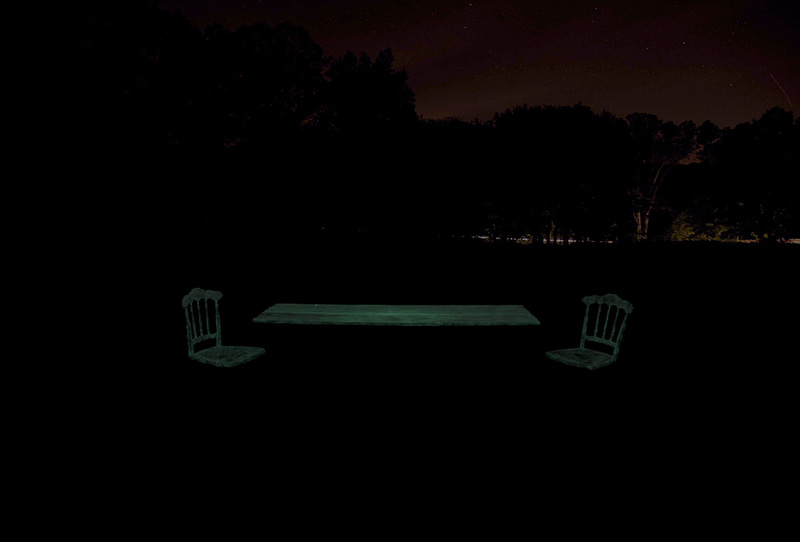 At night it undergoes a transformation: the tops of the table and the two chairs begin to glow. 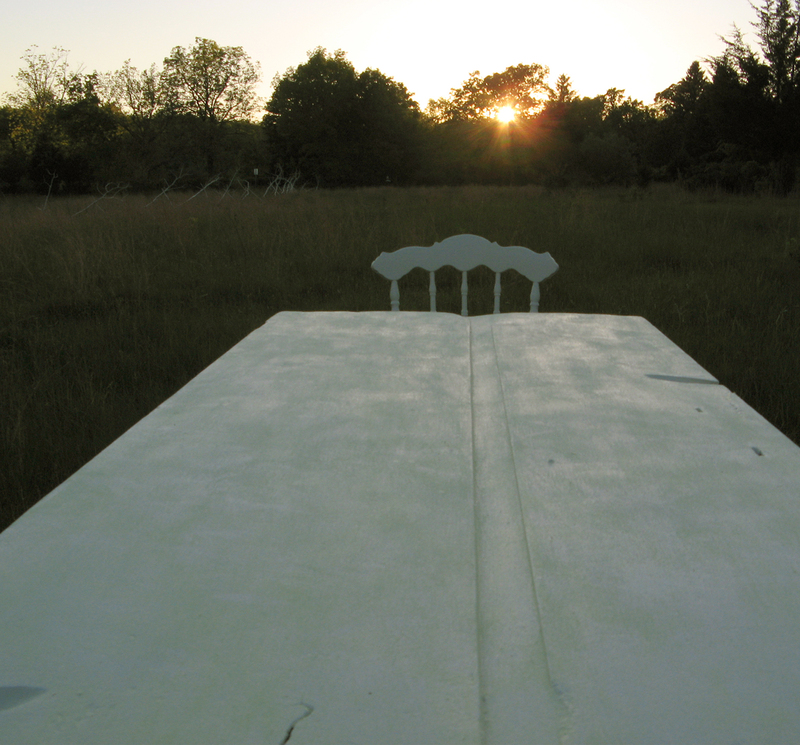 The table has absorbed sunlight during the day and is now emitting its own light, creating the illusion of a table and chairs suspended in mid air. The glow can last for most of the night and is intense enough to illuminate those who might sit at the table. This work is part of my continued interest in creating hybridized objects that fuse aspects of both natural and man-made materials. Even though this is not a living organism, it is reacting and responding to its environment, changing its inner structure (by accumulating photons and releasing them at a much slower rate than normal objects) thus revealing a physical world much more complex and profound than our conventional understanding allows.